Decisions, decisions, decisions! For the ADHD brain, making a decision can be quite the process. First, you will need to collect some information, but how much information? When do you know when you have enough information? Is it the best/most informed information for the decision you need to make? Has this ever happened to you? If the decision is made quickly, we may be called impulsive. Yet, if we take longer than expected we are accused of procrastinating. 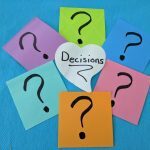 What makes making decisions so difficult? Every decision or choice we make uses up willpower according to Dr. Nowell, Ph.D. Since we have a limited amount of willpower it can be more challenging to make a decision because of our lower level of willpower. The brain is the organ in the body that requires the most glucose to keep it running. Each decision uses up a bit more of that glucose which can then deplete the reserves in the rest of the body. The less energy the harder even the simplest decisions can become. Simplifying certain decisions can free up what I call our “brain bandwidth” and can translate into more freedom and less stress. One strategy for simplifying is to make decisions ahead of time about the little things you don’t want in your life or don’t need to think about each day. Darren Hardy of Success magazine calls them your “non-negotiables” – those things you no longer have to think about because you have already made a decision about it and are sticking to it. It could be setting a specific bedtime or deciding a no cookies after 6pm “rule” or a 30 minute walk you “must” take each day. Then you no longer have to ask yourself, “Should I take a walk today?” The decision has been made and you just need to follow it. Creating routines and habits can also save you from using up your brain’s energy. 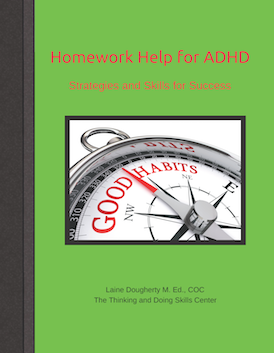 The ADHD brain struggles with routines. You may have noticed that each morning things can happen in a different order or get “forgotten” or distraction gets in the way and adds its own complications as you or your child are trying to get out the door. Creating a morning routine that is practiced enough to become a habit (automatic) can save hours of frustration and allow you to leave the house with EVERYTHING you need. For kids with ADHD, think of how many mini decisions they have to make each morning starting as soon as they are awake. Without a routine here, every day they will do things in a different order or leave things out unless you remind them. You end up trying to keep them to some kind of a routine but they probably don’t realize it. That’s why you may catch them staring off into space without a clue of what to do next. Work together and create a simple routine that will get them out the door without constant hovering from you. They will thank you later. Creating a routine around the evening process and the arrival home process or homework routine can also be helpful. What other things could benefit from a routine? Other ideas might include organizing, or maintaining your organizational systems, packing up sports equipment for practice, or bill paying, laundry or car maintenance. You get the idea, think of how it could change your lives and eliminate the drain on willpower if you eliminated the simple decisions so you can focus on the bigger ones. 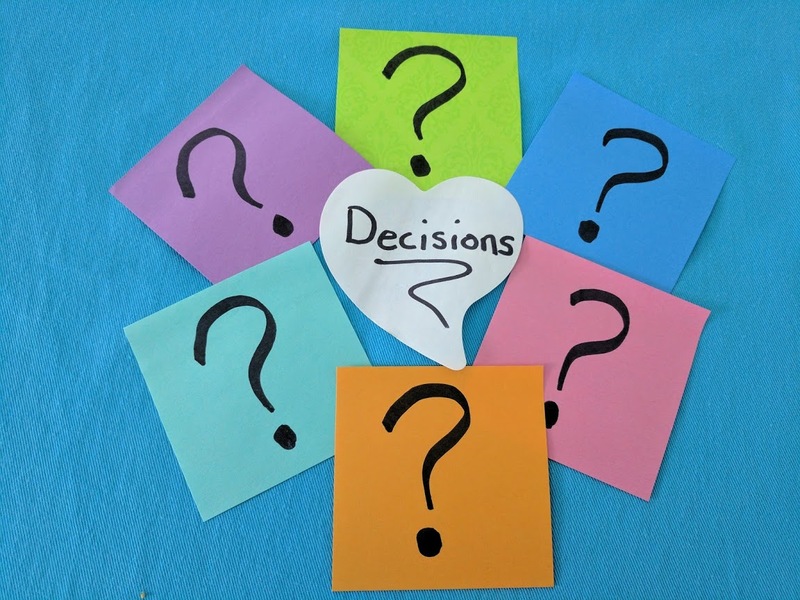 Imagine what it would be like if decision making was easier because you and your family were coming from a place with more than enough brain energy and willpower to make the decisions that are right for your family.